WILD dogs are reportedly terrorising and injuring family pets around homes in Erakala, just a 15-minute drive from Mackay's CBD. One attack in November was so vicious and the injuries so severe that the pet's owner Tracey Purdy thought her dog had been attacked by a wild pig. The family's two-year-old chocolate Labrador Padme was in a neighbour's canefield with two other family dogs when the attack occurred. "We didn't know what happened. She was quite slow in the morning and then in the afternoon we noticed the puncture marks," Ms Purdy said. The injuries were so severe the family weren't sure if Padme was going to survive the attack. "I first thought it was a pig, but the vet said it definitely wasn't and we could see the top and bottom jaw of the bite marks... it was definitely a wild dog. "It was horrific, we didn't think she would survive. The bites on the stomach you could see right through to the other side." Then last week Padme once again had a run in with the ferocious pests. 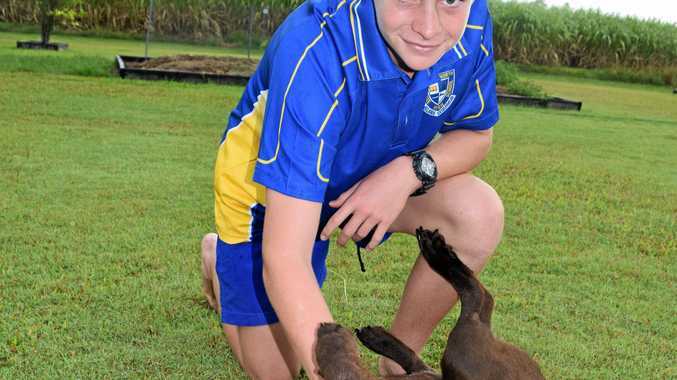 "It was about 4am on Tuesday, and there was three wild dogs," Ms Purdy said. She said in the most recent incident the family was home and able to intervene. But they were lucky, because a few weeks earlier wild dogs attacked one of the neighbours' dog while its owner was taking it for a walk in broad daylight. "We are seeing them (wild dogs) up Sugarshed Rd," she said. She said while the animals' shape was like a dingo, the colours of the fur were not consistent with a dingo. 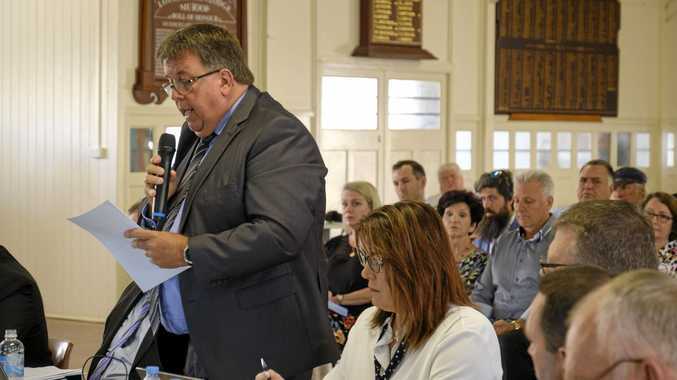 Mackay Regional Council Community and Client Services director Bridget Mather said wild dogs were being spotted more frequently, not only in rural areas but also in "peri-urban" areas close to town. "These closely settled areas have agriculture land and hillsides around them, which have always been grounds for hunting and dens for wild dogs,'' she said. "This time of year is leading up to mating season, so young dogs will be on the move looking to set up in a new range, away for the den they were raised in, and mature dogs will be looking for mates." Ms Mather said breeding was generally around March and April, so movements of the animals would increase over the next few months. She said the current dry weather had also brought wild dogs closer as they used creeks and headlands to move about. "Council is advising pet owners to have a secure fenced yard and bring domestic animals inside at night or kennel them. "Enclosures for livestock should be sturdy and landholders should vary the times livestock are allowed to graze and forage as wild dogs will observe and wait for the ideal opportunity to attack. "This also applies if letting small domestic animals out in the morning." Council staff also work closely with landholders to assist them in managing wild dogs and other pests. Anyone with questions or concerns regarding wild dogs can contact Pest Management Officers on 1300 622 529.